In the Momofuku cookbook, the source for this recipe (or most of it at least), David Chang calls it 48-Hour Short Ribs referring to the time he keeps the beef in the water cooking sous vide. 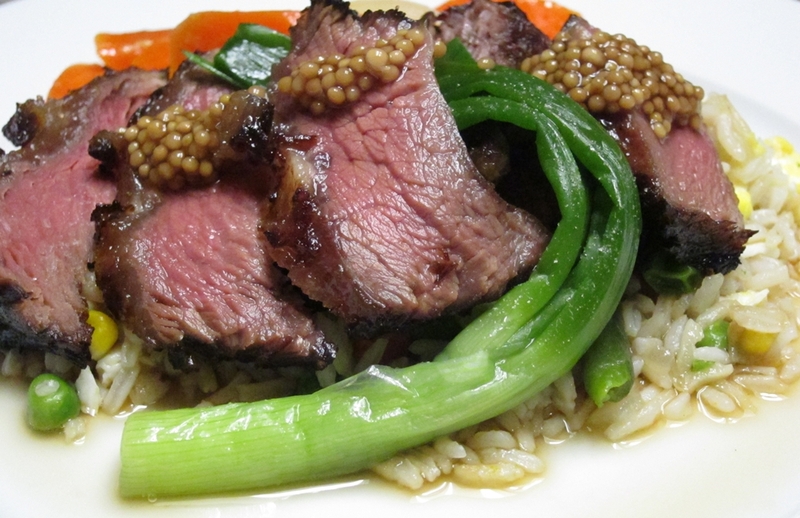 He serves it with the reduced marinade/braising liquid from the sous vide bags that the beef is cooked in, braised daikon and scallions. Well, due to some timing issues and because I like the 72-hour short ribs (as recommended by Modernist Cuisine) I ended up cooking the meat for around 65 hours. Sous vide, if you know what you are doing, is very forgiving and this made a fantastic weeknight dinner. The marinade which doubles as a braising liquid is made by simmering together a mixture of soy sauce, mirin, scallions, carrots, garlic, fruit juices and sesame oil. The marinade is cooled and divided up in the bags with the trimmed beef short ribs. The beef is then cooked for 48 to 72 hours at 60 C (140F) until most of the collagen is melted and the beef has the texture of a tender aged steak. At serving time, I shallow fried the beef in grape seed oil to crisp and brown the exterior. I decided to forgo the braised daikon and opted for a more substantial carb-heavy side for the ribs. I made fresh fried rice loaded with vegetables and eggs. I also cooked carrots sous vide with ginger and then sliced them and glazed them with butter before serving. The rice worked perfectly to complement the ribs and sop up all the sauce. 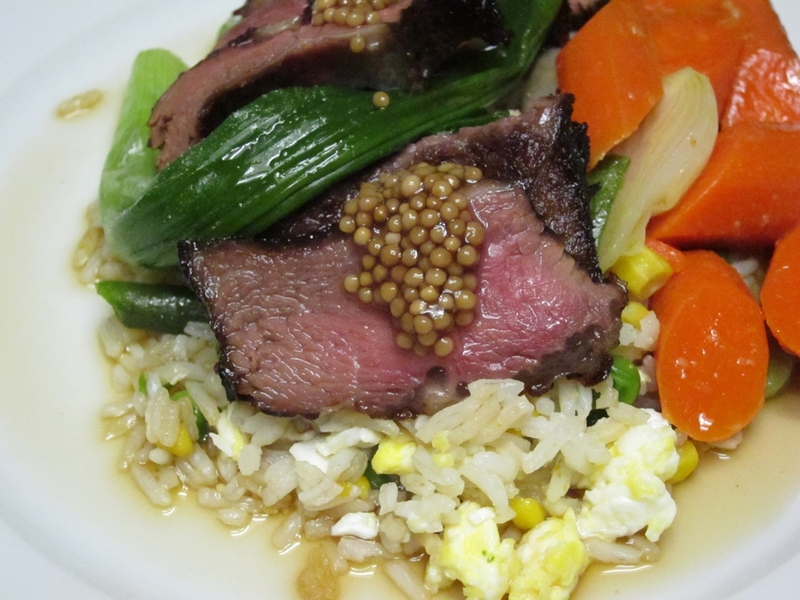 As a garnish, I topped the meat with a few dollops of pickled mustard seeds. They don’t just look really neat but they also add a lovely pop and their tart bitterness rounds out all the rich flavors very nicely. Yummm — sounds fantastic! I want to try this. I recently got a SousVide Supreme, and am loving it. It’s about time, eh? Damn right it’s about time Martin! You’ve been cooking the Alinea book for years now and with no SV setup :-).